The Department is deeply saddened to announce the death of former PhD student Alan Nash in a tragic bicycle accident on November 15, 2009. Alan earned his PhD at UCSD in 2006, under the direction of co-advisors Jeff Remmel, Russell Impagliazzo, and Victor Vianu. This Ph.D. was awarded by both the department of Mathematics and the department of Computer Science and Engineering. He was the first UCSD student to earn a multi-departmental PhD. A scientist, entrepreneur, surfer, and yoga teacher, Alan had enormous energy and a brilliant, unconventional mind. His trajectory was highly non standard. Born in Argentina to a family of Russian immigrants, he moved to the US straight after high school and worked in industry for some time, where he rose to the position of Assistant VP at Merrill Lynch, was a founder and CEO of the educational software startup Tesuji, and Chief Scientist at Systran Software. All the while, Alan pursued on his own a private passion for mathematics, especially set theory and logic. This led him to take graduate classes in mathematics through UCSD Extension in 2000, and meet Jeff Remmel, his first mentor at UCSD. Jeff was instrumental in getting Alan, who had never attended college, to initially join the Math, and later also the CSE PhD program. Alan was a star student from the very beginning and was awarded a prestigious Microsoft Research Fellowship. He quickly became legendary for his incredible energy and ability to pursue multiple research threads. The faculty he worked with at UCSD include Sam Buss, Alin Deutsch, Russell Impagliazzo, Bertram Ludaescher, Yannis Papakonstantinou, Mohan Paturi, Jeff Remmel, and Victor Vianu, and external collaborators include Phil Bernstein (Microsoft), Georg Gottlob (Oxford), Alberto Atserias (UPC Barcelona) and Luc Segoufin (INRIA). He also gave back through tutoring, teaching, and in general giving moral support to other students. 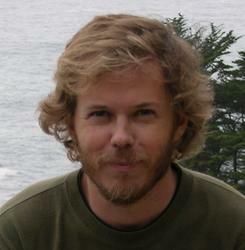 After receiving his PhD in 2006, Alan joined IBM Research at Almaden. In 2008, he decided to return to his entrepeneurial roots and joined Tradeworx, a quantitative hedge fund, as VP of investment research. More recently, Alan founded jointly with Tradeworx the hedge fund Aleph One LLC, based in La Jolla. Alan will be remembered not only as a brilliant researcher, but also as a fascinating person who always sought his own path. He will be sorely missed.